Festive fitness is all the rage these days. Gone are the days when the Christmas break meant piling on the pounds, now you can start the new year in fighting form. And we’ve got proof. 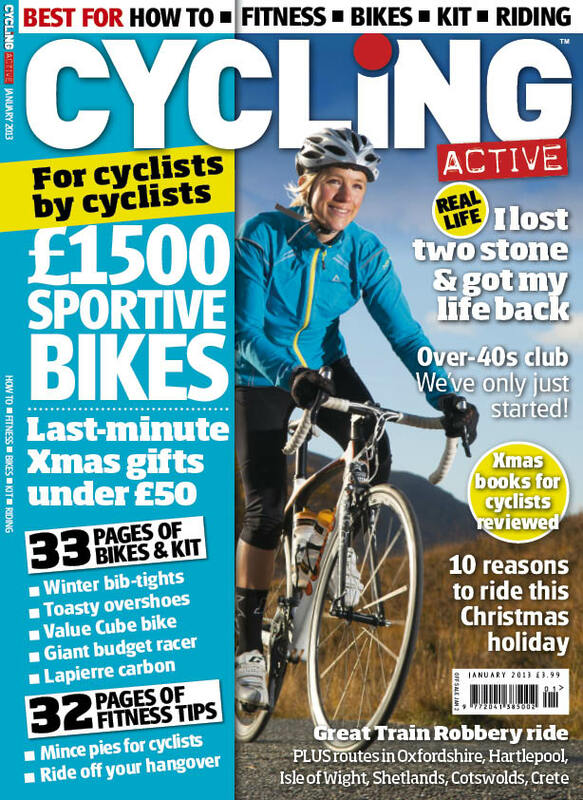 In the January 2013 issue of Cycling Active magazine we talk to one rider who decided to slim down this time last year and managed to lose a whole two stone! Don’t get us wrong, it’s still the season to be jolly, just skip the buttery basting and switch the turkey stuffing to the chestnut and orange variety. We’ve got the lowdown on the best mince pies for cyclists and expert advice on how to cope with a hangover. If you’re having trouble adjusting to the chillier climate, check out our guide to the best bibtights and overshoes. Don’t venture out without these winter riding essentials — there’s nothing worse than being so cold that you need to cut short your ride. And to complete this seasonal offering we have fantastic last-minute gifts for under £50 and review the best books for bike riders. Lose weight! How one rider lost two stone — and so can you! Sportives Listen up…here’s the science bit! Food fight Mince pies — hurrah!